After 20 years at ECCC, Dr. David Sills is leaving ECCC and moving to London to go to Western University in London as Executive Director of the Northern Tornadoes Project. David is a Severe Weather Scientist whose research interests include low-level convergence boundaries (lake-breeze fronts, thunderstorm gust fronts, drylines) and their relationship to severe weather and hazardous levels of air pollutants, tornadoes, lightning, development of tools and techniques for severe weather nowcasting, and more. In 2017 he was the recipient of the CMOS Rube Hornstein Medal in Operational Meteorology, and in 2016 he was awarded the Geoff Howell Citation of Excellence for Innovation. The science of understanding severe thunderstorms and developing techniques for their prediction is relatively young, with most fundamental research having been done only in the last 75 years. Though it is not widely known, Canada has played an important role in research and development in this area, and some of Canada’s atmospheric scientists have been global pioneers. Contributions by federal government scientists make up a significant fraction of the research work, particularly in recent decades. This brief review describes the breadth of the Canadian contribution, including radar meteorology, field studies, laboratory work and forecasting. Key areas that require further investment in order to improve our understanding and predictive skill are also discussed. The National Biodiversity Cryobank of Canada (NBCC), located at the Canadian Museum of Nature’s (CMN) Natural Heritage Campus (1740 Pink Road, Gatineau (Aylmer Sector, Quebec), is the result of a donation by the Beaty family and officially opened in September 2018. The NBCC is a natural history biorepository of specimens from across Canada and abroad, with a capacity for over a million standard 2 mL cryovials. This state-of-the-art facility uses innovative LN2 freezer technology and greatly enhances the CMN’s ability to store frozen collections at -170°C. The core objective of the NBCC is to provide excellent specimen care with easy access for scientific use. Storage is available for vouchers from research projects outside of the CMN. The collections may contain representatives from all kingdoms of taxonomic classification in the form of tissues, environmental samples, phenotype vouchers, and DNA extractions. As an extension of CMN’s collection facility, the operation of the NBCC is compliant with all other policies and procedures for the CMN. For more information about the facility, send inquiries to nbcc-cncb@nature.ca, visit our webpage (https://nature.ca/en/research-collections/collections/cryobank), or write to National Biodiversity Cryobank of Canada, Canadian Museum of Nature, P.O. 3443, Station D, Ottawa, Ontario, K1P6P4, Canada. Never reviewed a book before? No problem! 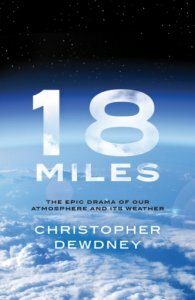 Check out some of these past reviews for ideas: Ice: Nature and Culture; Weather in the Courtroom; Convenient Mistruths: A Novel of Intrigue, Danger and Global Warming; Weather, A Very Short Introduction; Nonlinear and Stochastic Climate Dynamics. If you a review a book it is yours to keep! Contact the Editor to get involved. Ray’s accomplishments include: developing a fast-response carbon dioxide analyzer to measure field scale crop photosynthesis and respiration, pioneering the use of instrumented aircraft to measure regional photosynthesis, evapotranspiration and other greenhouse gases and developing a greenhouse gas calculator that enables farmers to estimate the emissions from their own farms. During his 56-yr career, Ray was a key player of major national and international scientific initiatives to quantify the functioning of terrestrial ecosystems and their contribution to greenhouse gas exchange. He spent more than 30 years working with the Commission for Agricultural Meteorology of the World Meteorological Organization, leading a team to disseminate knowledge on the impact of agriculture on climate and helping transfer agricultural technologies to developing counties. Ray has over 55 years of service with Agriculture Canada, and is a 25-year+ member of CMOS. He continues to actively contribute to our Society – recently Ray joined the CMOS Ottawa Centre executive and will be helping to plan our 2020 Congress in Ottawa. 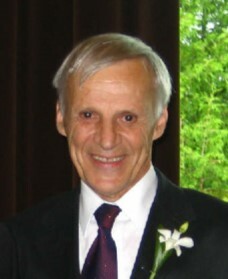 The IUGG Gold Medal is bestowed on William Richard Peltier (University of Toronto, Canada) for “his scientific contributions that have been pioneering and profound in deep earth physics and climate system processes, and for his unselfish contributions to international scientific collaboration”. “Professor Peltier is certainly one of the few living geophysicists who have had profound influence in the field of the Earth system evolution. His work is truly interdisciplinary, involving geophysics, geodesy, glaciology, climate and paleo-climate science, atmospheric science and geophysical fluid dynamics”, IUGG Fellow Anny Cazenave (France) tells about her colleague. W. Richard Peltier gain a BSc in Physics, in 1967 from the University of British Columbia, MSc and PhD, both in Physics, in 1969 and 1971, respectively, from the University of Toronto, and DSc from University of Waterloo in 2007. He moved from the position of Assistant Professor (1974) to Full Professorship of the University of Toronto in five years. He was visiting professor of UCLA (USA), NCAR (Boulder, Colorado), Cambridge University (UK), IPGP and ENS Paris (France), and University of Bergen, (Norway). W. Richard Peltier has distinction of having been made a Fellow of the American Geophysical Union, the American Meteorological Society, the Royal Society of Canada, and the Norwegian Academy of Science and Letters. He received a number of awards including the top prizes of Canada and the United States. The Gold Medal will be presented to W. R. Peltier by the IUGG President at the Award Ceremony of the XXVII IUGG General Assembly on 13 July 2019 in Montreal, Canada. The Medalist will receive also a certificate of IUGG Honorary Membership, and a Fellow pin. The 27th IUGG General Assembly (www.iugg2019montreal.com) will be held July 8-18, 2019 at the Palais des Congrès in Montréal, Québec, Canada. The relevant themes for CMOS participants will be between July 9-14, with workshops on July 8. This is a special opportunity for participants from Canada and from around the world to come together and share their science and culture. 2019 marks the 100th anniversary of IUGG; we will look back on the accomplishments of the previous century of Earth and space science research, and forward to the next century of scientific advancement. Join us for a host of scientific activities, including special public lectures, keynote Union lectures and a wide variety of themed sessions. The SPC has made the decision to extend the deadline for submission of abstracts to March 1, 2019 at 12:00 Central European Time (CET). When registering for the IUGG2019 conference, please enter the rebate code and your membership number to receive a rebate of $50.00. Both are available for members through CMOS website once logged in (cmos.ca – member login). I am pleased to announce the call for nominations for this year’s celebration of excellence and exceptional accomplishments to residents of Canada for their distinguished service to Meteorology through the Meteorological Service of Canada (MSC) award; The Patterson Medal. We ask nominators to prepare a short 2-page resume describing how the nominee contributed to meteorology as laid out in the Patterson Medal criteria. For additional information, please refer to the attached document, “Instructions to Nominators”. The deadline for the submission of nominations for the 2018 Patterson Medal is March 22, 2019. Should you require additional information, please contact Jennifer Hebert by email at Jennifer.Hebert@Canada.ca or by telephone at 819-938-4388. Please distribute to those interested. Polar Knowledge Canada would like to announce that nominations are now open for the 2019 Northern Science Award. 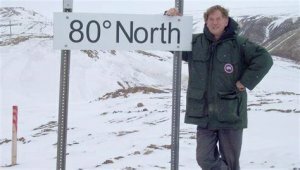 The Northern Science Award is presented annually to an individual or a group who have made a significant contribution to meritorious knowledge and understanding of the Canadian North. In the spirit of the last International Polar Year (2007-2008) the Northern Science Award recognizes the transformation of knowledge into action. This year marks the 34th anniversary of the award, which comprises the Centenary Medal, which was created to commemorate the 100th Anniversary of the first International Polar Year, 1882-1883, along with a cash prize. BAMOS is pleased to present a very Special Issue documenting the events of the thirtieth anniversary of AMOS celebrated through 2017. A year on, this publication provides reflections on the establishment of AMOS and highlights some of the scientific developments over this time. Thank you to John McBride for his contributions as a guest editor of this edition. We hope you enjoy this issue. Have a read and let us know what you think at bamos@amos.org.au. 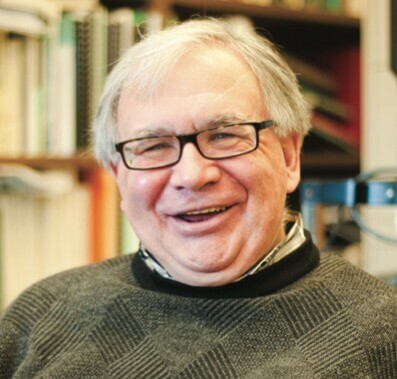 For his exceptional contributions to Arctic research, science and leadership, the Society is awarding James Drummond the 2018 Martin Bergmann Medal. His contributions in furthering Arctic research include his establishment of PEARL (Polar Environment Atmospheric Research), the globally-recognized Arctic flagship observatory that has contributed to a significant body of research. His enthusiasm for Arctic research has animated the CANDAC/PEARL Outreach Program that supports thousands of students, teachers, senior officials, and members of the diplomatic community. Dr. Drummond is a highly sought-after and active contributor in the national and international scientific community, including his work on multiple high-level committees. From all of us at CMOS, Congratulations Jim! The two day conference will consist of a number of informative presentations followed by interactive Q&A sessions and panel discussions to further involve the delegates. These talks will give a deep insight into the views shared on the different aspects of Arctic Shipping. Roberta Hamme is a chemical oceanographer who studies the marine carbon cycle. She works on understanding and quantifying the natural mechanisms that transport carbon from the surface ocean to the deep, reducing atmospheric carbon dioxide levels. She holds a Canada Research Chair in Ocean Carbon Dynamics at University of Victoria’s School of Earth and Ocean Sciences. Roberta will travel Western Canada in the fall and spring with her talk Ocean Oxygen Cycling from Robotic and Shipboard Observations. CatIQ Connect’s Student Delegate Program has been created to provide networking opportunities to graduate students attending Canadian universities and who are working in fields, or researching topics related to, resilience from catastrophes. We are now accepting submissions through Nov 16. **CatIQ Connect will also be offering up to 7 additional students the opportunity to showcase their research at the cocktail reception/poster session on Tuesday, February 5th. ***CatIQ’s Student Delegate Program is now accepting submissions. The 21st Annual General Meeting of the International	Association of Broadcast Meteorology (IABM) will be held on Tuesday September 4th, 2018, at the Corvinus University of Budapest, Hungary. It will be held during the EMS Annual Meeting & European Conference on Applied Climatology (ECAC). The full agenda for the IABM AGM is available here. Please welcome our new Twitter volunteer, Christine Leclerc. Christine holds a certificate in Web Design from a US college and an MFA in Creative Writing from UBC. 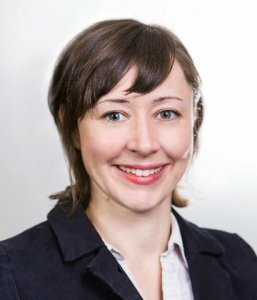 Previously, she served as a Communications Director in the non-profit sector and currently volunteers as Treasurer with the student-led sustainability leadership non-profit Embark and as a Member-at-Large on the board of Sierra Club BC. Christine is lifelong learner who is fascinated by environmental issues and is studying Physical Geography at SFU to enter a career in climate science. If you’re tweeting about meteorology, oceanography, or a related topic that may be of interest to the CMOS-SCMO membership, don’t forget to tag us using the @CMOS_SCMO Twitter handle so Christine can retweet you! The Global Weather Enterprise will be hosting a two-day Weather Enterprise conference in parallel with this year’s CIMO TECO-2018, which is being held alongside Meteorological Technology World Expo 2018 on October 9-11, in Amsterdam. The conference, which will be held on October 11-12, has been organized by the WMO in cooperation with the World Bank, GFDRR and the Association of HydroMeteorological Equipment Industry (HMEI). It will focus on two key themes: data and business models. More on the GWE in a recent article in Meteorological Technology International. CMOS has an extremely active volunteer base in the 14 centres across the country. Every three years members of the CMOS Executive Committee change centres. 2018 marks the first year with the Executive Committee under the leadership of members from the Toronto Centre, Paul Kushner, Kimberly Strong, Amir Shabbar, Fred Conway and Alanna MacKenzie. They take over roles that were successfully occupied by members of the Ottawa Centre. I want to extend a heartfelt thank you to Fiona Robertson (Corresponding Secretary), Marie-France Gauthier (Recording Secretary), Boumy Sayavong (Treasurer), Wayne Richardson (Past-President), Martin Taillefer (Past-President) and Martha Anderson (Past-President) for their tremendous work ethic and dedication to the society. 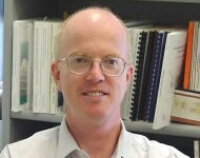 Paul has been at the Department of Physics at the University of Toronto since 2004. 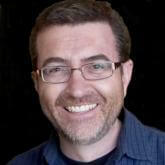 He is the principal investigator of the Canadian Sea Ice and Snow Evolution Network (CanSISE,www.cansise.ca). 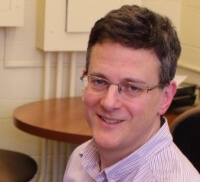 Before joining the faculty at the University of Toronto, he was a research scientist in the U.S. National Oceanographic and Atmospheric Administration in Princeton NJ, and a lecturer in the Dept. of Geosciences at Princeton University. Paul sees the Society’s committed and hard-working community of proactive volunteers across Canada. As a non-profit society CMOS could not exist, and thrive, without the dedication of so many volunteers, and he feels it is a great privilege to work alongside them. 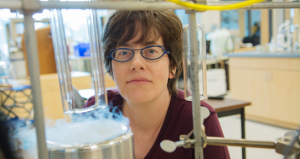 Kimberly Strong has been a Physics Professor at the University of Toronto since 1996. She has just completed a five-year term as Director of the School of the Environment, and is the incoming Chair of the Physics Department. She is the Deputy PI and a Theme Leader for the Probing the Atmosphere of the High Arctic network. 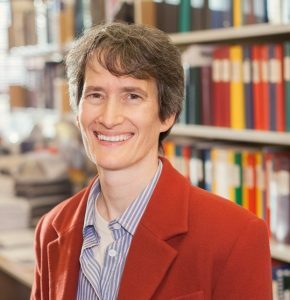 She is also the founder of the University of Toronto Atmospheric Observatory, a Co-I on the ACE and Odin satellite missions, and recently completed six years as Director of the NSERC CREATE Training Program in Arctic Atmospheric Science. Kim has been a CMOS Member for 22 years, was a former Chair of the Prizes and Awards Committee and a former Councillor-at-large, and has also been involved in CMOS through its congresses and publications. She sees CMOS as being vital to the promotion of atmospheric and oceanic science in Canada, and is pleased to have the opportunity to contribute to this effort as a new member of the Executive. Fred retired from Environment Canada almost ten years ago, but has maintained his interest in meteorology and CMOS. He was glad to offer his services to the incoming Toronto executive of CMOS, in the same role he filled with an earlier Toronto executive in the 1990’s. It’s a pleasure for him to see old familiar faces and to meet new people interested in such an interesting and important field, which sadly continues to be under pressure from so many directions. Alanna has worked in municipal government for over 6 years and currently spends her working hours at the City of Vaughan in the Policy Planning and Environmental Sustainability Department, helping to create an environmentally sustainable and climate resilient community. 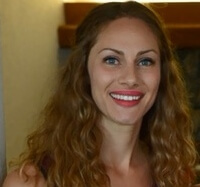 She graduated from the University of Guelph with a Bachelor of Science in Environmental Science and a major in Earth and Atmospheric Science. Alanna also holds a Certificate of Meteorology from York University. Alanna really enjoyed her experience volunteering for the 2017 Toronto Congress as the Social Program Lead so she decided to give the Executive Committee a try. Volunteering for CMOS allows her to stay connected to the world of meteorology and meet like-minded individuals. She is always on the search for opportunities for learning and development. A graduate of the University of Toronto in meteorology, Amir has carried out research in climate variability and prediction for nearly 30 years at Environment and Climate Change Canada. 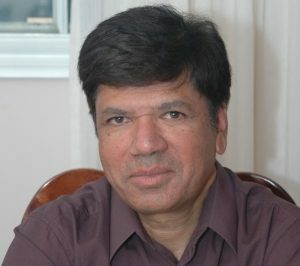 Amir’s specialty is in large-scale atmospheric and oceanic teleconnection as they affect the Canadian climate. Amir’s research investigation of the El Nino-Southern Oscillation phenomenon forms the basis of the understanding of the impact of ENSO on the Canadian climate. He was awarded the 2006 Andrew Thomson prize in applied meteorology by the Canadian Meteorological and Oceanographic Society. By volunteering for CMOS, Amir aims to promote meteorology in Canada, especially among the university and high school students. The Society is seeking a volunteer to support the development and management of our various social media outlets. At the moment we are vastly underusing these resources, so there is much opportunity here to really have an impact on how the messages of our Society and its members reach the world. What is expected? Whatever you can give! We would welcome fresh ideas, and whatever level of time and energy you can dedicate to this task. The minimum expectation is to agree to manage our Twitter feed, which means at the moment posting a tweet at the request of one of our executive or council members, just a few times a month. Who can apply? Ideally you are a CMOS member, or would like to be, with an interest in, and knowledge of, some area related to CMOS’ activities (Canadian climate, ocean, and weather science). What’s in it for you? CMOS is Canada’s non-profit umbrella organization for researchers and professionals working in the fields of oceanography, climatology, and meteorology. With almost 1000 members from across the academic, government and industry sectors, you will have access to a great network of knowledge and expertise. Our Society has been around for more than half a century, and over the past few years we have really been looking at how we can have an even greater positive impact on our changing planet. So if you are passionate about supporting positive environmental change, this is the place for you! How to apply? Contact the Executive Director, Gordon Griffith. Let him know who you are and why you are interested! This is a call for nominations of Canadian experts to serve on the Intergovernmental Panel on Climate Change (IPCC) Task Group on Data Support for Climate Change Assessments (TG-Data). Nominations are being solicited for experts to serve as TG-Data Co-Chairs as well as members of the Task Group. The purpose of TG-Data is to facilitate the availability and use of climate change related data and scenarios in support of the work programme of the IPCC, and to provide curation, transparency, traceability and stability of data and scenarios related to the reports of the IPCC. At the 47th Session of the IPCC (March 2018), the IPCC re-named the Task Group on Data and Scenario Support for Impact and Climate Analysis (TGICA) to the Task Group on Data Support for Climate Change Assessments (TG-Data), and adopted new Terms of Reference (TORs) for the TG-Data and guidance for the IPCC Data Distribution Centre (DDC). Application Instructions: Please submit the attached nomination form and a Curriculum Vitae to the IPCC Secretariat for Canada (ec.giec-ipcc.ec@canada.ca) by July 17, 2018. Members of the TG-Data will be selected by the IPCC Bureau and will be notified directly by the IPCC. Please do not hesitate to contact the IPCC Secretariat for Canada if you have any questions.